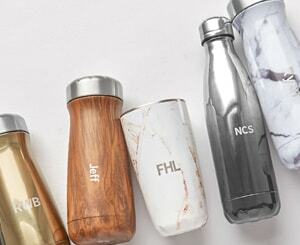 S'well Bottle holds the right to modify or cancel the student status of your account at any time. To be eligible to shop the Student Store and it’s select styles, you must: a) be eighteen (18) years of age; b) currently in a United States university or college; and c) maintain a valid student email address. Your Student status will be revoked if S'well becomes aware that you are not a current student at an American university of college. The discount offered on the Student Store is available online only at swellbottle.com and only on select styles, as dictated by S'well alone. This discount cannot be combined with other discounts or promo codes. You must be logged in to your student account, with your valid student email address, to access the Student Store. This discount cannot be applied on previous orders, or on purchases made at other authorized retailers. This discount does not apply to shipping, taxes, or duties. As the customer, you are fully responsible for any material which you compose via our gift messaging and personalization services. You guarantee that any messages and/or text posted on the website to be sent to a third party, by us, on your behalf, will not contain any obscene, vulgar, rude, racist, threatening, or defamatory language which may cause any distress to any person or be unlawful. S’well accepts no liability for any gift messages and/or personalized text which do not comply with this condition. S’well reserves the right, at its sole discretion, to remove these services at any time and to refuse to send or display messages and/or text, whether in whole or in part, without prior notice or liability to you. Returns are accepted within 30 days of your original purchase. If you would like to return a bottle for a refund, please email a request with your original order number in the subject line to help@swellbottle.com. Returns and refunds will not be accepted for used bottles. S'well will cover the shipping fees for the return of an item presenting a quality issue. Free shipping is valid on all continental US economy orders of $50.00 USD or more. This offer will be automatically applied at checkout. Offer is valid for a limited time only. Offer is valid for ecommerce orders only. This offer cannot be applied to prior purchases and cannot be redeemed for cash. We ship to all of the US, including PO, APO, FPOs and all US Territories. Our shipping prices are based on the value of the items in your order and on the service level you choose. When calculating your total shipping time, please keep in mind that the day the package is shipped or picked up from our warehouse is not considered the first business day; start counting business days from first full day that the package is “in transit” to you. Business days are Monday through Friday, excluding weekends and Federal holidays. We do not support the use of third party forwarders for various reasons including, but not limited to the loss, damage, or manipulation of our products and/or packaging. S’well’s warranty does not cover any products that have been reported damaged or lost if the shipping address on file is associated with freight forwarding, international forwarding, or the redirecting of packages. S’well reserves the right to cancel and refund any order shipping to any address associated with freight forwarding, international forwarding, or the redirecting of packages. Should S’well cancel and refund your order, S’well will not accept responsibility for any fees or loss of funds due to issues such as international exchange rate or, banking processes. S’well is not liable for any charges, or additional charges, incurred by you from any third party shipping company for any undeliverable, rerouted, or returned packages. For more information regarding shipping, please email help@swellbottle.com or visit our Shipping & Returns page. Can’t Live Without It, LLC d/b/a S'well Bottle (“S'well”) maintains the Website and reserves the right to modify or change the Terms and Conditions at any time. Please review the following Terms and Conditions carefully, and visit this page periodically for changes. Your continued use of the Website following the posting of changes constitutes your acceptance and agreement to the changes. All right, title, and interest in the Website and the content and the materials contained in the Website (“Website Content”), including all copyrights, trademarks, patents, or other proprietary rights therein, belong solely and exclusively to S'well and/or its licensors. You are granted a limited license only for purposes of viewing the Website Content when you use this Website and only to the extent that your use does not violate these Terms and Conditions. For information regarding our pending and registered patents for our products, please visit swell-ip.com. Certain areas of this Website are restricted from being accessed by you and S'well may further restrict access by you to any areas of this Website, at any time, in its absolute discretion. Any user ID and password you may have for this Website are confidential and you are responsible for maintaining the confidentiality of your account and password. In these Terms and Conditions, “User Content” shall mean any audio, video, text, images or other material you choose to post or display on this Website or on S'well owned or maintained websites and media channels such as Facebook, Twitter, YouTube, Instagram, Pinterest and/or Snapchat, or in S'well emails, e-blasts, newsletters, advertising, promotional and other marketing materials (together, “S'well Channels”), or that you tag with or about which you respond to S'well using the hashtags #yestoswell, #swellbottle, #swelladventures, #swellstyle, or #swell. By posting or displaying User Content to the Website or S'well Channels, or by tagging S'well as described above, you grant S'well a perpetual, royalty-free, non-exclusive, worldwide, irrevocable, sublicensable license to use, reproduce, adapt, publish, translate and distribute the User Content as well as your name, persona and likeness included in the User Content and your social media account handle, username, profile picture and/or any other information associated with the User Content, in whole or in part, for commercial or noncommercial purposes in any and all media whether now known or hereafter developed. S'well reserves the right to remove any User Content from this Website or from S'well Channels at any time without notice. You represent and warrant that: (i) you are at least eighteen (18) years of age and have the full power and authority to agree to these Terms and Conditions; and the User Content is your own original creation and does not contain false or misleading information or infringe the intellectual property, privacy rights, or other legal rights of any third party. You hereby waive any claim of any nature you may have against S'well for the use of your name, image, and/or likeness, including, without limitation, any use that might be deemed to be a misrepresentation of you, your character, or your person. You acknowledge and agree that you will not receive any payment, royalties or other consideration for S'well’s use or non-use of your name, image, and/or likeness. This Website is provided “as is,” with all faults, and, to the maximum extent permitted by law, S'well and its officers, directors, employees, agents, representatives, subcontractors and suppliers hereby disclaim all warranties of any kind, whether express or implied, related to this Website or the materials contained on this Website. To the maximum extent permitted by law, in no event shall S'well, nor any of its officers, directors, employees, agents and representatives be held liable for any special, incidental, direct, punitive, indirect, consequential or any other damages of any kind arising out of or in any way connected with your use of this Website or the S'well Channels, under any theory of liability, even if S'well has been expressly advised of the possibility of such damages. To the fullest extent permitted by law, you hereby agree to indemnify and hold harmless S'well and its officers, directors, employees, agents and representatives from and against any and/or all liabilities, costs, demands, causes of action, damages and expenses arising in any way related to your breach of any of the provisions of these Terms and Conditions. S'well is permitted to revise these Terms and Conditions at any time as it sees fit, and by using this Website you are expected to review these Terms on a regular basis, and agree to the current Terms and Conditions as posted here and updated from time to time. S'well is allowed to assign, transfer, and subcontract its rights and/or obligations under these Terms and Conditions without any notice to you. However, you are not allowed to assign, transfer, or subcontract any of your rights and/or obligations hereunder. These Terms and Conditions constitute the entire agreement between S'well and you in relation to your use of this Website, and supersede all prior agreements and understandings. These Terms and Conditions will be governed by and interpreted in accordance with the laws of the State of New York and you submit to personal jurisdiction of the state and federal courts located in the county of New York for the resolution of any disputes.